Blue skies stretched in every direction. White, puffy clouds floated easily through the air. Rainbows of wildflowers striped the alpine meadows. They followed the sun eagerly. On the horizon snowy mountain peaks interrupted the seamless blue. Birds chirped happily. The wind breathed a sigh of relief. It was summer at 10,000′. I pedaled my bike under the brilliant sky and over rocky jeep roads and singletrack. I had no destination, except to wander, to see, and to enjoy the fleeting, flowery, window of high-country summertime. I knew that too soon the leaves would start to yellow, the wind would turn colder, and the days shorter. Too soon the grays of November would displace the electric blue, yellow, and green of July. I paused often and drank the clean, thin air. If it were not for the horseflies, I might have napped in a meadow of flowers. I looked west, to the jagged peaks of the central Wasatch, and could not avoid imagining them as the Ten Mile Range, Sawatch, or San Juans of Colorado. A streak of excited terror buckled my knees. After nearly a year of preparation, the Colorado Trail Race was mere days away. I smiled broadly, and nervously. 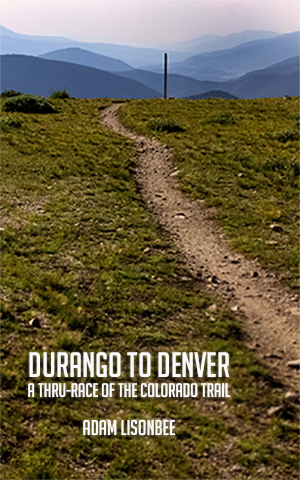 At long last, the Colorado Trail was imminent. [e]very pedal stroke, and every mile that I ride… gets me a little bit closer to Denver. The Colorado Trail Race is not  miles, it’s far longer than that. The trail to Denver started in my basement weeks ago, and will pass through the deserts of St. George, the hoodoo of Moab, and up and over the Wasatch and Tushar mountains. It will be glorious and tedious. But already some of that is behind me. And already, it’s too late to turn around. Behind me now are hundreds of miles of dirt roads, singletrack, and pavement. Behind me are a hundred-hundred thousand feet of climbing. Behind me are all the late night hours of reading, studying, and planning. I’ve passed through the deserts of St. George and Moab. I’ve climbed through the La Sal, Tushar, and Wasatch mountains. There is no more equipment to buy or test. There are no more training rides. All the preparation, all the planning, and all the restless, expectant brainstorming is done. There is nothing left to do, except the doing itself. It was time to return home. Reluctantly, I pointed the wheels downhill. Overhead, the white clouds had turned dark, and angry. The wind had left behind the lazy, satisfied sighs. The aspen trees swayed in the determined huffing and puffing. Big raindrops began to thump the dry dirt. Thunk. Thunk. I pedaled hurriedly through the coming monsoon. I arrived home just in time to avoid getting soaked. I sat on the porch and watched the torrential rain pour from the sky. The storm was intense but short. The nearby fields of sage became clean and fragrant. Water dripped from the branches of the aspen trees. Steam rose from the dirt as the sun returned from behind the clouds, now rolling eastward, carrying the welcome deluge into the high Uinta Range, and beyond. The rain left the wildflowers newly vibrant. Like restored frescos, the dust was washed away leaving only the clean colors of nature. Sage fragrance filled the air. Elk emerged from the quaking aspens to graze on the wet alderleaf, mule ear, and honey locust. The sun sunk behind the Wasatch mountains. Light filtered through the storm cells. The sky bled dark blue, red, and orange. The last of the day sunk into the horizon, and once again I imagined myself someplace in Colorado, pedaling northeastward toward Denver. I won’t be the first person to ride the Colorado Trail. But every mile will reveal terra nova. Every mile will bring new joy, new pain, new adventure. I won’t be the first. But I will be honored to add my name to the growing list of those who have gone before, pioneers of human accomplishment. My heart will be open. And my eyes too. I am setting out to uncover the layered mystery of the Colorado Rockies and to bring light to the mountains. Terra irradient. Let them illuminate the land. I will ride when I can. I will hike when I have to. And when I need to rest, I’ll rest. I will return with pictures and stories. But most importantly of all, I will come home with experience. Experience is the only really valuable thing that an adventure like the Colorado Trail Race can offer. I can share pictures. I can tell stories. But only I will truly know and understand what it was like to climb Stony Pass or rumble across Sargents Mesa. It will be my legs that hurt, my hands that are numb, and my spirit challenged and fed. Others already have this knowledge. And others yet will gain it. But mine will be mine alone. And that is why I am riding from Durango to Denver. I need to know. I need to see. I need to become a part of the Colorado Trail. Many miles are behind me. But more and better miles are looming up the hill, and over the sky-scraping mountains of the Continental Divide. I go gladly, with a joyful heart, and an open mind. I will pedal with a smile, and an appetite for long views, alpine tundra, summer monsoons, and dirty velvet trails. Good post! I guarantee that you will have an incredible experience, not matter what happens. While it is a race, this one is definitely all about the journey. It is a true physical and mental challenge – you will go thru extreme highs and lows, emotionally, but when you reach Waterton Canyon, you will be so glad you finished. I will be watching all of the blue dots on Trackleaders and rooting for you and all of the racers. Good luck and remember to take time every now and then to enjoy the ride and take more of your awesome pics! Wow, great write up. 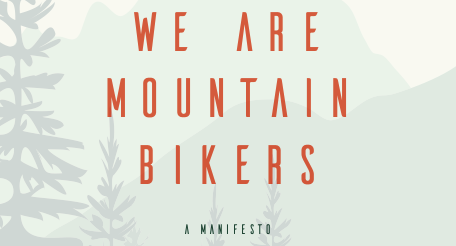 Interesting how many good writers come from the bikepacking ranks.